You don’t see many single cask full maturation port pipe whiskies! This is a limited release of 696 bottles from earlier this year and I couldn’t resist grabbing a sample. Nose: Very atypical. Joss sticks, deodorant, dry grass, cloves, peach skin, orange essential oil, and vodka with cranberry juice. Palate: Oily, salty toffee. Quite sharp to start (water helps). As it calms down, it gets fruitier with prunes and dried cranberries. There’s a flicker of blueberry muffin, then smoke, tar and oil mixed with bitter dark chocolate and cloves. Finish: Long and dry, with cinnamon, salt and pepper. This is a challenging one, but worth persevering with (and hey, what do you expect from a single cask!). Full term port pipe maturation has imparted some interesting fruit and spice notes. 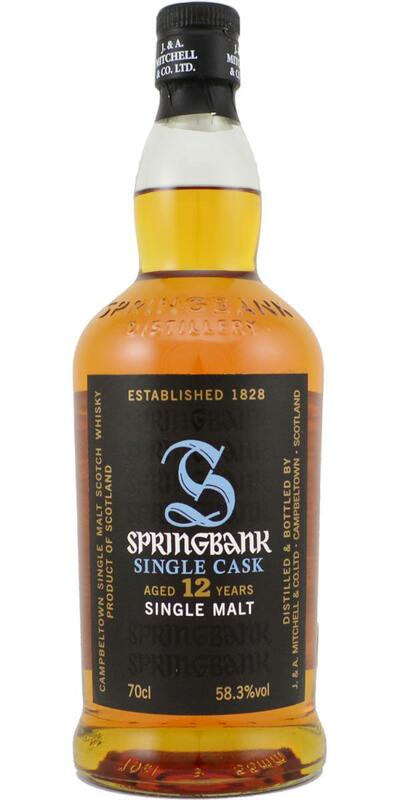 The Springbank coastal elements still come through with the oily sweet smoke you expect and yet it’s still quite savoury and dry.